Ines Papert was, despite her being German, sponsored by Black Diamond and Arc’teryx and having won four World Cups in ice climbing, not a familiar name to me. 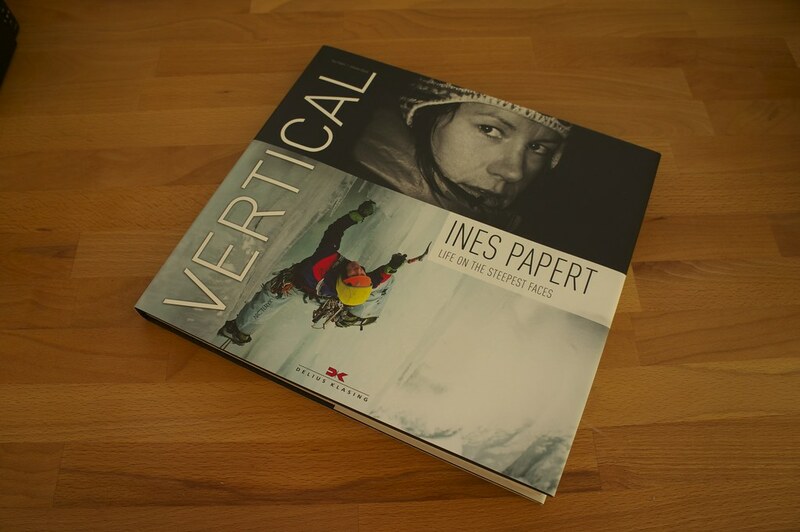 I stumbled across her book VERTICAL: Life on the Steepest Faces by coincidence, and was positively surprised by the interesting story of this woman, and the superb mountain photography. As the book arrived, I was again surprised by the huge size of it. 30 cm wide and 27 cm high, it is a big book, but this size comes into its own when you can view photos in such a great size. 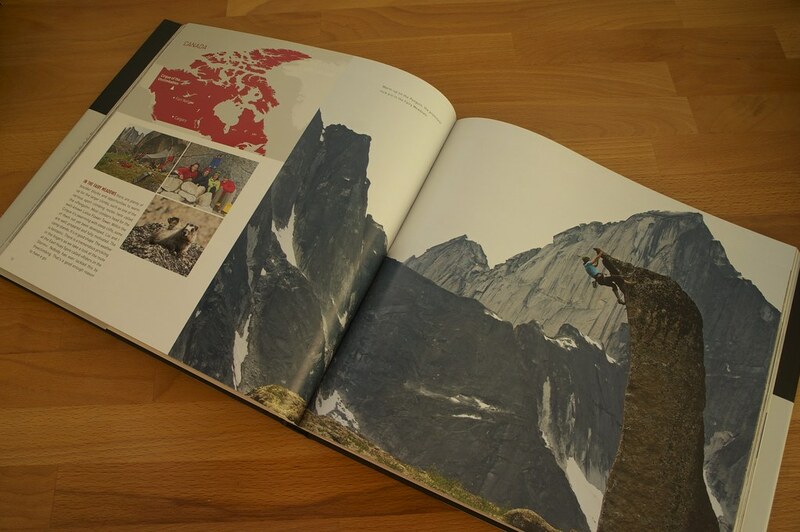 In twelve chapters and 160 pages the book takes you on a trip around the world, seeing the high peaks of Nepal & India, remote locations in Canada and familiar mountains in Norway and Scotland. There is little text, and so your main attention is drawn to the photos. These are indeed very fine, and any mountain, outdoors, and photography lover will appreciate the inspiring photos from across the world. The book starts out and gives you a bit of background on Ines, who started climbing in her twenties but displayed such massive amounts of talent that she only a year after she started climbing already stood on the summit of Aconcagua, Americas highest peak. Three years later she ranked second in the World Cup, and in 2001 she got her first (of four) World Champion title. Happily the book focuses less on her competitive time, and more on her expeditions. On these we are taken to India, Nepal, Kyrgyzstan, China, Canada, the Arctic, Norway and Scotland. Different teams, and different photographers, but always a very human perspective on the story - not only reaching the summit is important, but also being safe and having a good time. In between these stories, there’s little nuggets of wisdom - how to go to a location, how to climb in Scotland, how to pick a good expedition team. It is a quick read - I had it through in a couple of evenings - though I have been going back to watch the photos again on several occassions; they let you temporary escape the dull Finnish November to sunnier places with great mountains. If you love mountains & the outsdoors but can’t be climbing and hiking all the time, then this book is a good way to get your fix. The female perspective on climbing, expeditions and the mountains is very refreshing, too. Have a friend who loves ice climbing and far away places? Then this would make a great gift!